Want to finally feel confident in your brows? 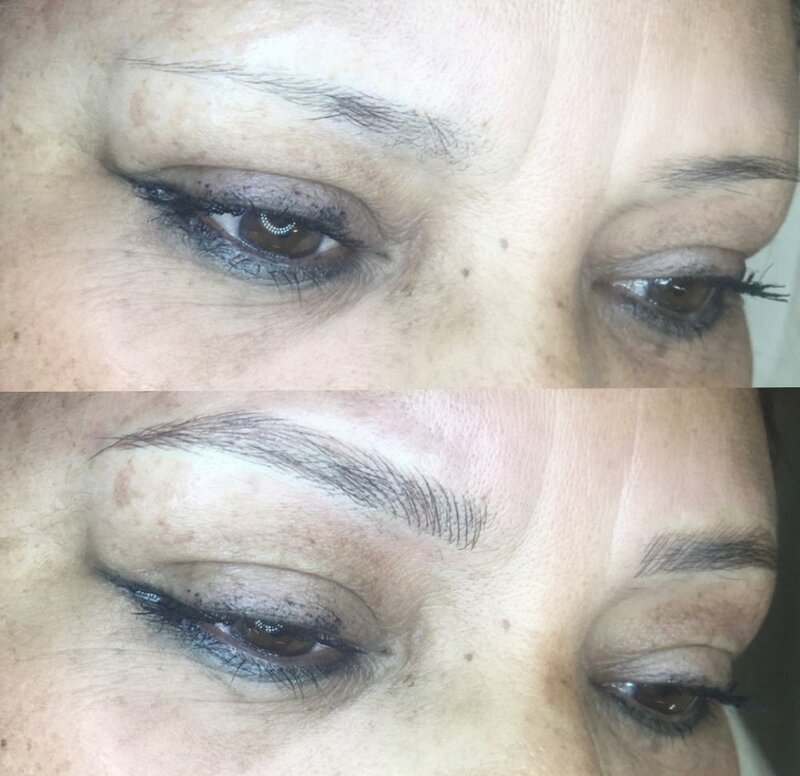 Eyebrow microblading, also known as Cosmetic Tattooing or Semi-permanent Makeup, is the process of inserting color pigment under the skin in delicate tattoo strokes to mimic your natural hairs. This leaves you with defined, natural looking brows that will ultimately enhance your unique face shape. Microblading is water and sweat proof, camoflauges pesky scars, and gives you the brows of your dreams! At your initial appointment we use brow mapping techniques that help build brows for the unique geometry of your face. 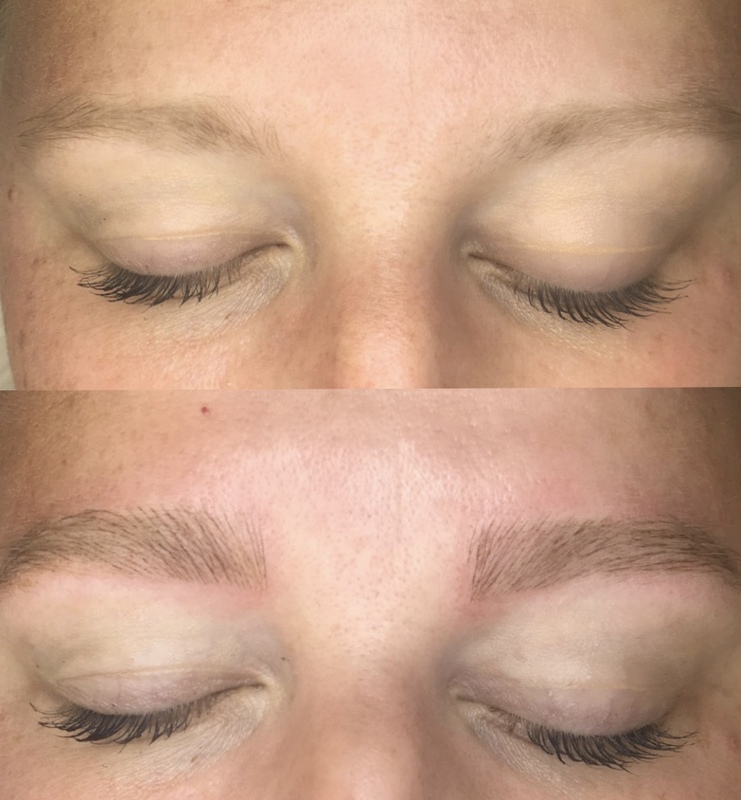 After you feel good about the shape of your brows the microblading begins! After the procedure is complete you will need to return in 6-8 weeks for your touchup. This touchup will correct any imperfections and prolong the retention of the ink. After your touchup you can expect your brows to last 12-18 months. No water can contact the brows or intense work outs for 5-7 days after your service. Light excercise is acceptable (minimal sweating). Water and sweat can cause pigment loss. The week following the procedure, gently apply a thin layer of aquafore to the brows to ensure optimal healing.